It's now cold enough that the inner beasts have been unleashed from New Yorkers' closets. Fur coats are such a statement piece, you don't really need to try too hard with anything else you're wearing. We spotted this model on her way to a casting in Williamsburg, Brooklyn, and she tempered her big fur with really simple basics. 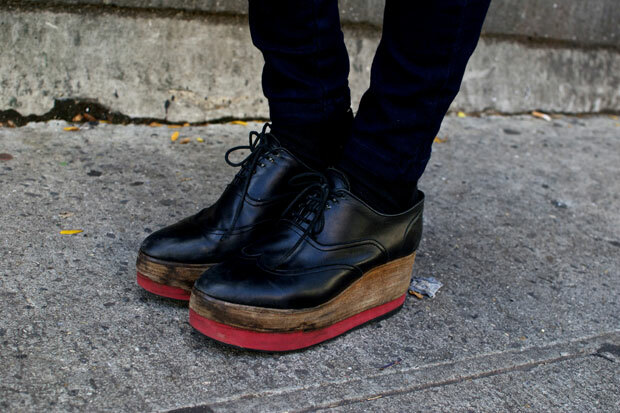 We also love her wood platform shoes, which she told us she bought in Sweden.